To reach our goal of 300,000 annual visitors exposed to the Gospel, we need individuals and businesses who will invest in this kingdom effort with their L.I.F.E. (Labor, Influence, Finances and Expertise). Please use the "Give a Gift" button to invest today. 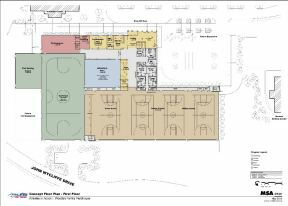 Visit www.woodenfamilyfieldhouse.com to learn more about the future Wooden Family Field House.